Datalogic's Laser Sentinel: The Flexible Solution for Safe Area Protection for Static and Moving Applications, in Both Horizontal and Vertical Applications - Allied Automation, Inc. The Standalone model offers a cost effective solution for static applications like robot cells or safe monitoring of access to dangerous machines. Master/Slave models can be used in combination of up to 4 scanners to cover all sides of a machine or of a vehicle, with the possibility of programming, monitoring and dynamically changing the shape and position of safety and warning areas from a single point. The synchronization of Master and Slave scanners is done automatically because of the safe communication established between them with an Ethernet cable which also carries the power. No additional external unit is required. 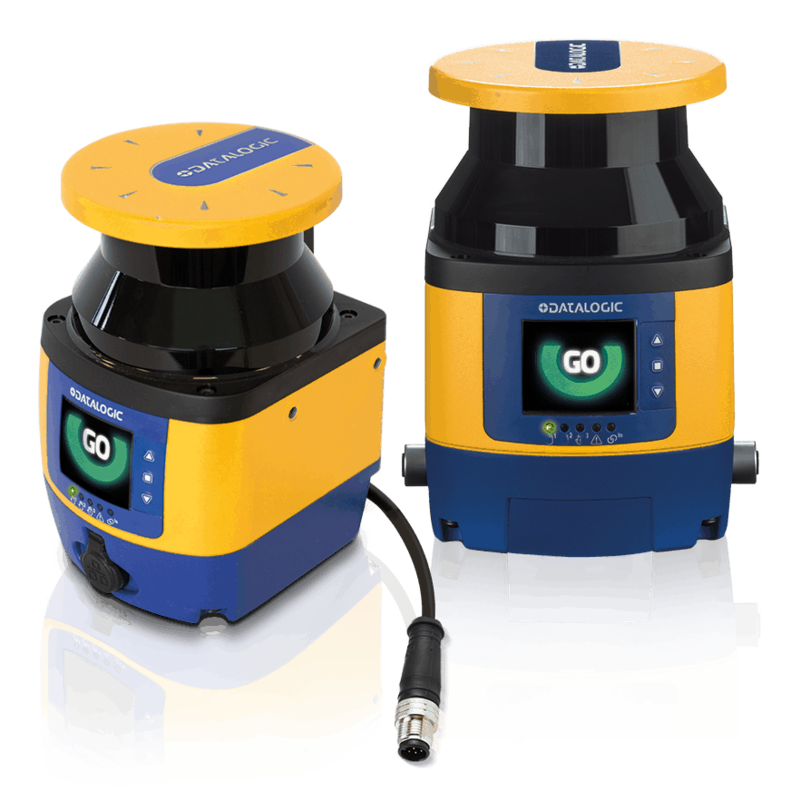 In both cases, dedicated functions like muting, override, manual restart function or dirt window alarm help to manage the many needs that can arise when putting in a safety machine or an AGV. Call us at 800-214-0322 for more information about our Datalogic solutions.